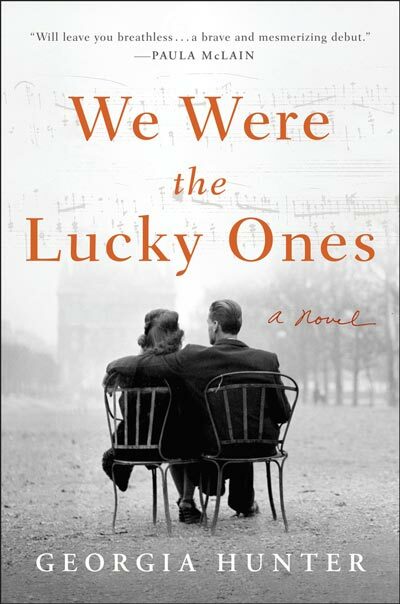 What a week it’s been for We Were the Lucky Ones (and it’s only Wednesday!). On Monday I turned in a final round of manuscript revisions—minor catches and tweaks that will help, I hope, to make the book feel more polished—and by final I mean final. As in, the round of revisions I’ve been looking forward to-slash-dreading for as long as I can remember, as the idea of being finished, of being really, truly done, is equal parts thrilling, terrifying, and still somewhat impossible for me to grasp. 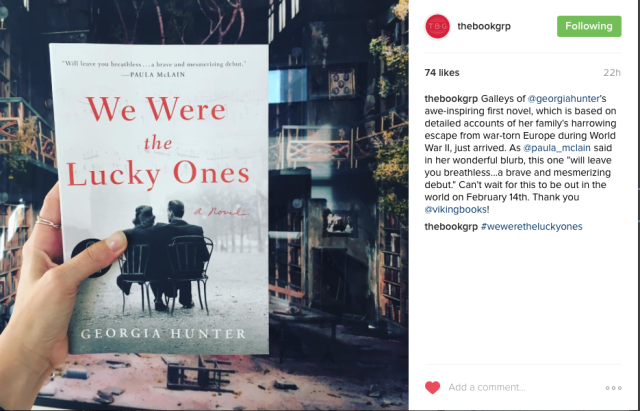 Brettne called last night to ask if it was okay to share the jacket on The Book Group’s Instagram feed. “Of course,” I said, and then immediately cried when I saw the post. Staring at it, my mind flashed back in time: To the family reunion in 2000 that triggered my curiosity and inspired me to take on this project; to the years of interviews, explorations (more on our recent trip to Italy in my next post), and research of every variety; to the army of sticky notes that once covered my walls; to my earliest one-off chapters shared nervously with friends and family; to the hunt for an agent and then a publisher; to the multiple trips to Kinkos to retrieve the latest draft of the manuscript and the days spent afterwards reading, editing, rereading, and editing some more. I’ve known for a while that my galley would be ready at the end of August, but with a final-revisions deadline looming overhead, I never quite let myself accept that the day would come. Nor did I understand just how surreal it would feel to see the actual book—a physical manifestation of a near-decade of work—being held in someone’s hands. A giant thank you to the creative team at Viking that’s been so integral in transforming We Were the Lucky Ones into the carefully designed piece that it is today. I couldn’t be more excited to celebrate this latest milestone, and, although daunting, it’s a relief to know that my editing work is complete. Now if you’ll excuse me, I’m off to check the mailbox. P.S. A few people have asked and unfortunately the galley isn’t for sale. But the February hard cover, believe it or not, already shows up on Amazon, Indie Bound, and Barnes & Noble (talk about surreal! ).